Commercial Waste Disposal & Management in Oxford | D.A.B. Dial A Bin provides a selection of waste management and recycling services to domestic and commercial customers throughout Oxford. 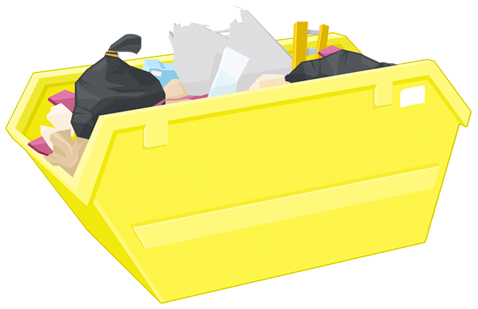 By providing skips, in various sizes, as well as wheelie bin collection services, we help you to manage and control the amount of waste at your location. Our services are perfect for regular use or for one-off occasions, such as moving home or commercial premises. We’ll organise delivery and collection times that suit you and our member of our team will ensure all deliveries and collections are done quickly and efficiently. If your business is located within Oxford or the surrounding areas, then we can provide you with specialist commercial waste containers, wheelie bins and disposal services. Differing in sizes, our range of containers and bins range from small, easy-to-manoeuvre wheelie bins to large, heavy duty waste containers. Perfect for indoor or outdoor use, we can provide waste solutions for factories, offices or construction sites. Our roll-on roll-off skips are the largest available skips we have available and are up to 40 yards long! Perfect for large industrial and commercial projects and refurbishments, we’ll deliver, position and collect the skips at a time convenient to you. This will be done by one of our experts, who will ensure that the transportation and movement of the roll-on roll-off skips, containers and wheelie bins is done efficiently and safely. When disposing of your waste, we aim to reduce the number of items that are sent to landfill. As a member of the Road Haulage Association, you are assured that we will follow all legislation when disposing of your waste. It’s important that we play our part in the Oxford community. After collecting your waste and taking it to our transfer plant, we’ll recycle as much of it as possible. However, this sorting process can take up a considerable amount of time, which is why we provide a selection of colour coded wheelie bins and containers. This allows businesses, restaurants and other commercial locations to sort recyclable and non-recyclable waste, quickly and easily, as they dispose of it. We work with a range of factories, businesses and homeowners throughout Oxford. If you’d like to find out about our waste management, commercial wheelie bin and container or disposal and recycling services then please feel free to get in touch on 01865 986515. Dial A Bin provide a large range of waste containers, suiting both commercial and domestic clients. Our delivery and collection service operates 6 days a week, which means your waste collection is prompt and cost effective. Contact our friendly and knowledgeable team today. "Thank you for being so efficient"